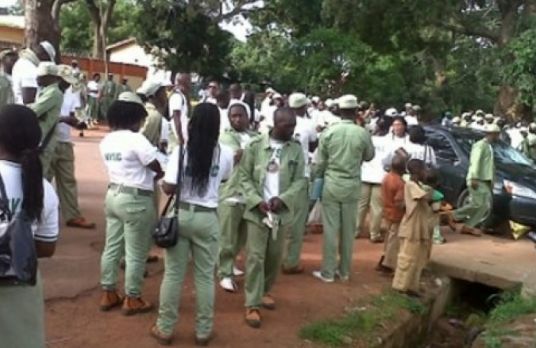 About 15 members of the National Youths Service Corps (NYSC) recently posted from the Ikot Itie Udung, Nsit Atai Local Government Area of Akwa Ibom State camp, on Thursday abandoned their primary place of assignment following attacks by hoodlums. The affected Corps members were posted to serve at the Community Secondary School, Uruk Atta 11, in Etim Ekpo Local Government Area. He disclosed that the suspected cultists had attacked the compound and disposed them of personal belongings including laptops, phones and petty cash. More worrisome to them, according to one Effiong Ekeke, a local resident was that: “the cultists also raped some of the female members, an action he said, forced them to flee the community. Confirming the incident, Donald Iwok, a former Councillor, who represented the area at the return of democracy in 1999, attributed the incident to what he described as: “the collapse of security in some communities in the area. Calling on the Police to beef up security in the area, Iwok, an alumnus of the affected school, expressed worry that incidences of cultism, robbery and kidnapping for ransom, have become the order of the day in the area. The Chairman of Etim Ekpo Local Government, Udeme Eduo, who lamented that the scourge of cultism has created serious tension in the Council sued for calm, assuring that he was working with security agencies to restore peace. The Commissioner of Police (CP) Mr. Donald Awunah, said a number of suspected cultists have been arrested following the launch of ‘Operation Impact’ in the area. if you are to hold a post in nigeria what post will it be? When Would 2015 NYSC Batch A Mobilization Commence?